This week got off to a bad start. Monday night at King’s Cross was like the Slug and Lettuce on a Friday night. It was Lethal Bizzle. The Departures board made depressing viewing. 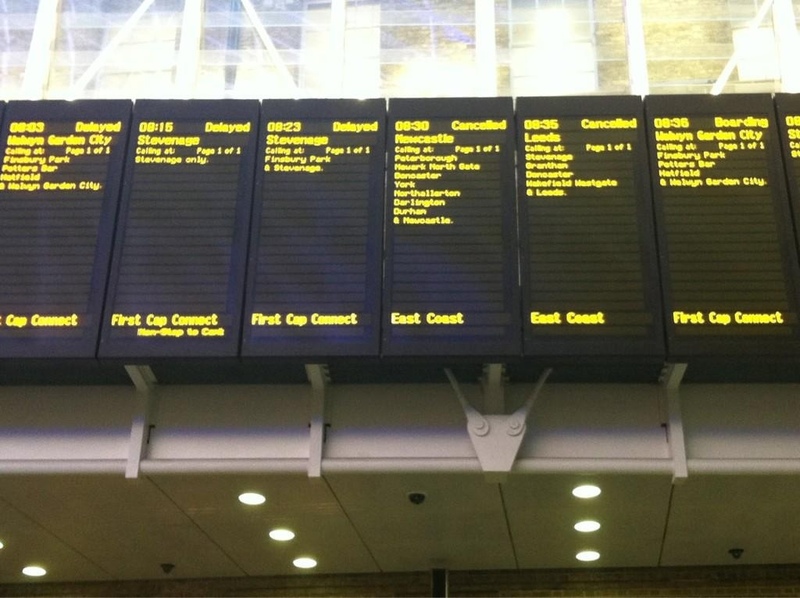 Delayed, Cancelled and no platforms marked at all. No trains. The problem was with 14 ‘droppers’ on the line between Hitchin and Stevenage. What’s a dropper? The same question occurred to me. A dropper is the non-electrified wire that supports the electrified lines above the tracks and trains. I think. Vandalism or scrap metal theft, surely. In which case, there’s little Network Rail can do except replace/fix them. Am I too quick to forgive? But as if by magic the station announcer told us the next train calling at Stevenage would soon be leaving from Platform 0. There was no stampede but there was certainly urgency in the way people made their way to the train. These situations can be a false dawn; you can’t let your guard down. 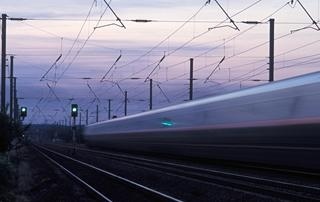 A place on a train is no guarantee of being sped home with effortless efficiency. When you’re dealing with overhead wires (and we were) you can be crawling along at best or stationary at worst – actually, going backwards would be worse but that’s never happened to me. But as luck would have it, I was home as fast as I could have wished. So that was the worst over, right? You know when you get phone calls early in the morning, it’s never good news. All kinds if thoughts rush through your head. Anyway, it was my neighbour to say that if I was considering Parking In Stevenage today, don’t bother. Apparently the platforms were packed and there was talk of the dreaded Replacement Bus Service. All the way to London. Serious. My neighbour was right; I didn’t bother. This post was brought to you by two well-executed semi-colons. I advise you to use them more in 2013. They are unloved and underrated. All colons are ugly and should be avoided. Subject: [New post] The Great Northern Route: not so great.